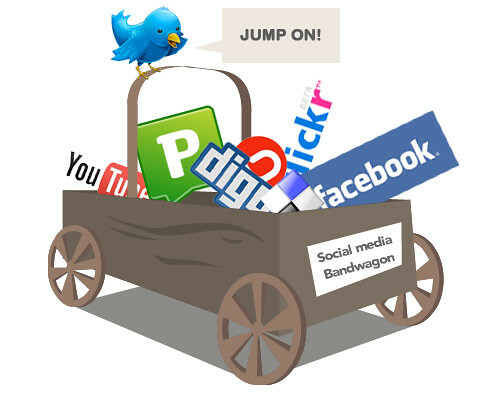 Many authors these days start blogs or websites or Facebook pages or Twitter accounts or any of the other five-thousand different forms of social media, hoping that not only will doing so let them connect to potential readers, but these said readers will go out and buy their books. It was certainly my reason for starting this blog: I began a blog in August 2011 in order to build an audience so that by the time I published my first book I might have some readers willing to buy a copy. It’s also the reason why I started a Facebook page and a Twitter account. It’s like going to a movie theater and trying to sell your books to the people around you when all they want to do is watch the movie. Even worse, there are other writers in the theater trying to do the same thing you are, so the viewers are not just focused on the movie, they are purposely shutting out everything else. The challenge is to get their attention and make them more interested in you and your book than in the movie. And like Pat, I’m not really sure how to get people interested in my book rather than the movie. While I’m lucky in that I’ve got a decent amount of followers (thanks for following, by the way! ), if I charged for every time someone read one of my posts, I think my readership would be much smaller. My books cost anywhere between one to three dollars (if e-books) and a little under six to thirteen and a half dollars (if paperback). Plus I mainly write horror and science fiction, which don’t appeal to everyone. Still, those aren’t the main reasons that I don’t make a lot of sales through social media. Other authors have had this problem as well, from romance and erotica authors to masters of mystery to sci-fi and fantasy lords and your literary connoisseurs. Like Pat said, every author is trying to get you to buy their books. I just happen to work in a genre known for its dark and macabre nature. I think that’s the problem though. So many authors are using social media to promote their books that it’s difficult for any single one to get heard and make a lot of sales. The first few people who used blogs, Facebook, Twitter, and any other platform did make plenty of sales (or so I hear), but so many people have caught on that social media doesn’t sell as much as it promises. It’s not easy to get sales through social media. But you can try. Still, that doesn’t mean you shouldn’t try. Otherwise, I wouldn’t be on my blog, let alone Facebook or Twitter. Each author discovers success on their own. I’ve known authors to gain many readers of the books and many more readers on their blogs. It depends on how you go about writing your posts, what you write about, and how you promote it, among other things. Do I know what those things are? Well…I’m a bit better at writing a terrifying story. I don’t know all the tricks. But I’m learning them here and there. I let my readers know about important updates, what’s going on in my life, my viewpoints on important issues. I often share funny or reading and writing-related photos on my FB page.Most importantly, I let people know when I get a new review on Amazon, and use direct links to Facebook and Twitter in case anyone wants to look. And it pays off. Literally: I got two tax forms from Amazon–one for paperbacks, the other for e-books–and together it wasn’t too bad. And I’ve only been published for a little over a year and a half! Do you find social media helpful for selling books? Why or why not? What tricks do you have for selling books through social media? Thank you for quoting me. It’s just too bad I didn’t have something more constructive to quote, like how I sold a million books doing … x. Well, who knows. Maybe someday I will figure out what x is. Or maybe you will, and I can quote you! Either way, I look forward to it! Thanks for commenting Pat. I understand an author’s drive to have their work be lucrative enough to live on, but I don’t think it’s wise to write with that intent. We live in a time when people expect the books they read (and the music they listen to) to be free or almost free. Very few authors can live on the income their writing generates. So most authors have to thrive on their passions and their day jobs, unfortunately. I wish it weren’t the case. You and me both. Luckily, I don’t think writers who write solely for the purpose of money make it very far. Usually it shows in the writing that they don’t put that much heart into their stories. At least, that’s what my experience has been.